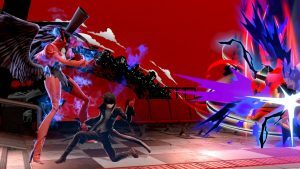 Nintendo has confirmed that its first Fighters Pass DLC character, Joker from Persona 5 , will be joining Super Smash Bros. Check out Joker’s reveal trailer below which contains footage of his moves and the Mementos stage. There will be 11 new tracks in total and Mementos will change depending on the music played. If that weren’t enough, the Version 3.0 update goes live today as well which brings the rumoured Stage Builder to the game. Smash World will also be added to the Nintendo Switch Online app that lets you view custom content on mobile. Stay tuned for more details on when this update, along with Joker, will go live.